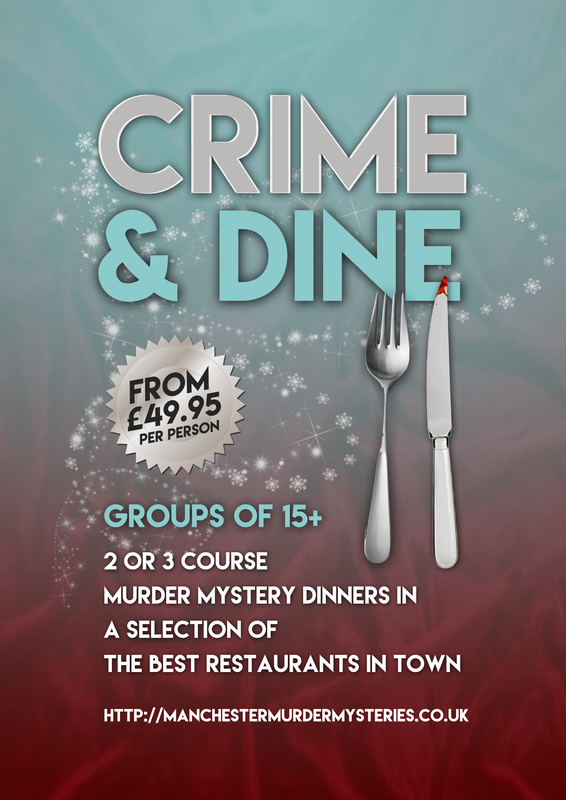 Blackpool Murder Mystery Raising Funds for Families – Tickets on sale! 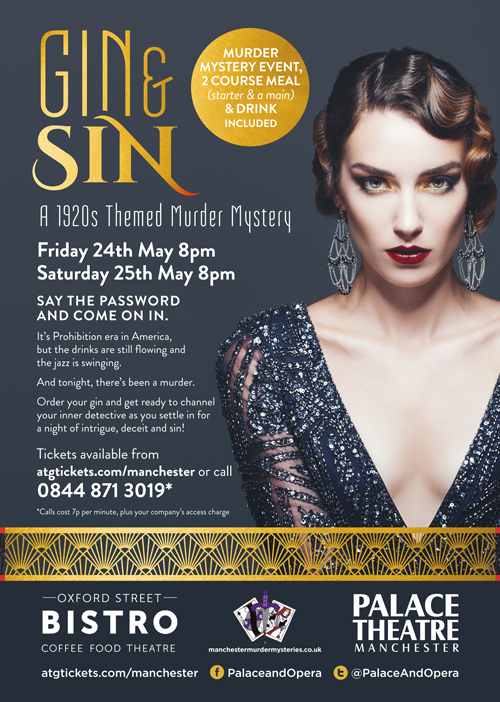 On Friday 1st September 2017 we’re bringing our best selling murder mystery, 1920s Gin & Sin, to The Raikes Hall in Blackpool. 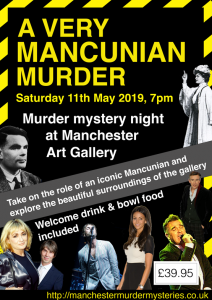 The aim is to raise lots of money for the Magic Moments Children’s Charity. And you could be part of it. 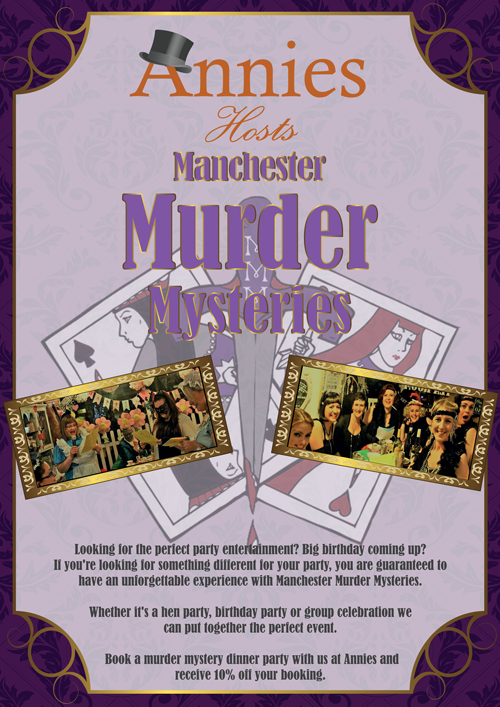 Manchester Murder Mysteries is delighted to announce that it is teaming up with The Palace Theatre Manchester to provide unique and memorable events from their new sensational Oxford Street Bistro. Don’t panic! We’ve got the Christmas party for 2016 all wrapped up for you. And it’s something a bit different.